The Soul & The Ego is a series of five intensive "life-changing" meditation based personal development workshops, held over 5 weekends on the Sunshine Coast, 90 mins north of Brisbane. Discover the 'real' you and find your direction in life now. The Soul & The Ego is a series of five intensive workshops that are conducted over 10 months, approximately eight weeks apart. It is highly recommended for those of you that want to deepen your understanding of the 'real' you and find your direction in life. This very special series has been designed with precision to help you on your journey of self-discovery, to realise your inner-truth and ultimately achieve soul connection. You will develop the knowledge and skills to transform your life and the opportunity to utilise Peter's extensive experience and guidance from The Council Of 12 in a positive, proactive environment of understanding and compassion. These unique workshops have been designed to complete as a series of five in sequential order for maximum learning and benefit, and are perfect for beginners, returning workshop participants, and those who are highly experienced in metaphysical related studies alike. If you are serious about finding and embracing your true self and achieving clarity about your life, these workshops have the capacity to provide you with the ways and means to do just that. Testimonials: Read how these workshops have helped transform lives. The Council Of 12 have given us a specific format for each of these workshops. The 12 also directly facilitate all meditations throughout the weekends, adjusting each meditation to fit the specific energy of the group at any given moment. As every workshop has a different group of individuals with a different combination of energies, each one is a powerful, tailored learning experience and truly unique in its own right. From workshop two onwards, you will be given the opportunity during the course to ask your own questions of The Council of 12. This workshop is the beginning of five workshops that will help you to begin to understand the inner aspect of yourself. This involves exploring the relationship between mind, body and soul. We discuss the role of meditation and the seven universal laws are explained. We are also shown what our unique vibration tells others and how group consciousness affects us all. The purpose of emotions is explained and we are shown how we use suppression and avoidance to distract ourselves from dealing with ourselves. We are also shown how to recognise the messages that the Universe offers, how to ask for help and the setting of goals for development. This workshop is a foundation for spiritual growth and a journey of change. Those that come for change will find that they will receive a great deal of help. Dealing with these things mentioned will enable you to make a connection with your inner self. This workshop will help you with development of your soul. You will be introduced to your guides, guardians and angels and will learn the different roles they play guiding you. You will be helped to discover the many signposts that will guide you on your spiritual journey and the importance of faith and trust is shown. You will also learn how your perception determines your reality. During this workshop, you will be introduced to The Council of 12. This workshop teaches you how to listen. We utilise meditative techniques to assist you to deeply connect with the emotional baggage that you carry and show you how we as humans suppress our emotions and the effect this suppression has on our being (for the body is indeed the barometer of the soul). We discuss how the secrets we hold affect us and how guilt patterns result from these secrets. The need for balance between our spiritual, personal, work and recreational aspects of our life is also explained. This workshop will help you get in touch with the power that is within you. We discuss the origins of thought, how it operates, and how your self-worth (or lack of it) affects all things. 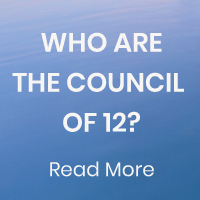 The Council of 12 show us the rules of manifestation and how we all manifest our reality, whether this be through abundance or lack of, good health or poor health. You will learn how there are three ways of approaching life: 1) as a victim, 2) as a martyr and 3) as a student of life. We are shown how to practice unconditional love. In this workshop, the purpose of experiencing a past life recall is explained. We often find that the deep emotions we carry have their origins in past lives; this life - the present one - is but one of many. And if you wish to have a broader and deeper understanding of yourself, a connection with some of your past lives can be a tremendous advantage. We are helped to understand "sin" and guilt and we are led into meditations to help us to understand these emotions. We are also shown the lessons that emotions carry and it is explained how our goal is to master our emotions. The importance of self-discipline is illustrated and a group past life regression is conducted. This will show you how the lessons of the past that are still unlearned are brought with you into the present to be resolved in the here and now. You will learn the influences that these obscure and the impact, conditions and afflictions these have in your present day life. When: Each workshop will be held approximately every two months. The workshops are daytime only and will be all day Saturday and all day Sunday. See specific dates below for each workshop. In between workshops you will be required to keep a daily journal. This will ensure a flow and link the workshops together, as they are designed as a sequence and progress in content and depth. Where: All workshops are held in our custom built workshop centre on Peter's property in beautiful Pomona, on the Sunshine Coast in Queensland. Pomona is appoximately two hours north of Brisbane or 30 minutes from Noosa. 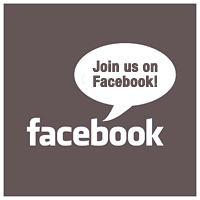 For those travelling from Brisbane, interstate or overseas, contact us via the contact page - we can recommend suggestions for local accommodation in the area. Bookings are essential. These workshops are in frequent demand and numbers are limited, so we recommend confirming your place as soon as possible. To book, please phone Peter's office on +61 7 5485 0955 or email us here. "You have been given a way forward, you have been shown a new way to act, a new way to think, a new way to live. It is your choice whether you embrace these teachings or reject and forget them and go back to your old ways. But the old ways will be uncomfortable, for you will always know the truth. We ask that you act with truth, we ask that you act with faith and trust, in what we have given you. We ask that you call on the universal help which we have revealed. We ask that you build on your knowledge and wisdom to change yourself, for in changing yourself you change the world. Your actions, while you feel may be insignificant, have an enormous and profound impact on the entire planet. You need do nothing more than be true to yourself to change the things you wish. Honesty and intergity are one thing, absolute truth is another. Live your absolute truth, but do so with kindness and compassion towards others and as you draw others toward you, be kind, be loving, be tolerant, be understanding, be forgiving and most importantly be understanding and compassionate to yourselves. For while you see things as mistakes, we see them as the things that needed to occur to bring you blessings. We thank you for what you have done, we thank you for your sacrifice, we thank you for your understanding we thank you for your trust, we thank you for your love. I can sincerely say that this is probably the greatest, most unique process anywhere to learn about yourself and improve your life. It is quite literally ‘heaven sent’ and it’s an incredible opportunity to have this in Australia. Just get here and try it. Attending the Soul & Ego workshops has enabled me turned my life around. They have helped me to realise that I am the only person holding me back from a happy and fulfilling life. I have discovered that because I haven’t dealt with issues from my past, I am still holding onto them and this is stopping me from moving forward. I have finally been able to start dealing with these issues, be grateful that they occurred and move forward. I really enjoy the meditations and have put them onto my iPhone so that I can listen to them at any time. I have found that I am now able to deal with challenging situations in a more positive manner and am focusing on a more positive life for myself. To me, each workshop weekend is like a mini holiday as I get to spend the weekend with a group of like-minded people, in an atmosphere that is very friendly, comfortable and relaxing and the venue is extremely peaceful. If you have the chance to attend The Soul and The Ego workshops (a hugely powerful experience would be an understatement), consider yourself one of the very privileged ones. You will have one of the most important accelerated learning experiences of your life, and some of the most incredible realisations about yourself possible. These have spearheaded the start of a personal inner core transformation I never thought imaginable but always dreamed of - and that’s not just ‘positive thinking’ or something airy-fairy. I’m talking TRUE tangible change, and real personal freedom and peace. 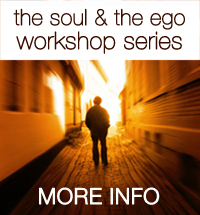 I am pleased to confirm that the 2017 series of The Soul and The Ego workshops will start on Saturday, February 11 & Sunday February 12, with bookings now available for those that are interested in participating this year. If you seek a deeper understanding of yourself, these workshops will help profoundly, giving you a tangible set of life tools to move forward with clarity as well as help unravel the emotional baggage you may consciously or unconsciously drag with you. I am pleased to announce that next series of The Soul and The Ego personal development workshops is confirmed for 2016, starting on the weekend of Saturday April 16 and Sunday April 17. With eight series held over the last six years, these very special workshops continue to flourish and develop in their remarkable teachings to us all. If you have read the testimonials page or spoken with past participants, you will understand why so many of those who have attended have had their lives transformed by these workshops, which are completely unique anywhere in this world. The Council of 12 are a group of non-physical beings that assist the growth and development of souls on this and other planets in the universe. They are a mixture of male and female energies all of whom have at one time lived through incarnations on the earth, just as we do today.